Finca de Cafe Pastores… just across the hazardous street [watch out for those trucks!] 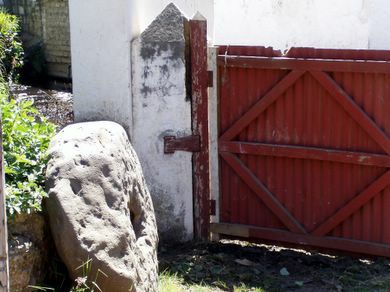 from the beneficio is the gate to Hans’ farm. This very old grinding wheel is an artifact from the beneficio’s previous life as a wheat mill.